HomeHow can we stop nursing homes nurturing MRSA? How can we stop nursing homes nurturing MRSA? There is an emerging feeling that we need to start spreading the focus of infection prevention and control beyond acute hospitals. There has always been a sense that standards of infection control outside of acute settings are, shall we say, “different” to acute hospitals (aka non-existent) so it’s great to see a study of an infection control intervention in nursing homes. The study was a cluster randomised controlled trial of MRSA screening, decolonisation and enhanced environmental disinfection vs. standard precautions in 104 of 157 nursing homes in a Swiss region. The authors chose a rather unusual, pragmatic endpoint of the prevalence of MRSA colonisation after 12 months. Although there was a significant reduction in MRSA prevalence in both intervention (from 8.9% to 5.8%) and non-intervention (8.9% to 6.6%) nursing homes, the attributable impact of the intervention was non-significant. The most likely reason for this is that standard precautions were re-launched in the non-intervention nursing homes with training and educational materials. However, another possible explanation for the “failure” of the intervention is the outcome chosen, (prevalence in MRSA carriage among residents at the end of the 12-month study period). It seems to me that this would be influenced more by importation of MRSA from acute hospitals than by in-nursing home transmission. A better measure would have been MRSA acquisition during their stay (negative on admission and subsequent positive specimen), although I appreciate that regular MRSA screening in addition to the admission screening would have been a great challenge. Another possible explanation for the “failure” of the intervention was that patients with a length of stay less than 3 weeks were excluded, as were those with a life expectancy of less than 1 week. This would result in a substantial pool of patients in the intervention arm who missed out on the intervention. Also, patients were only included in the intervention if they (or their legal representatives) gave oral informed consent. Of those eligible to be enrolled, 13% declined to participate, adding to the pool of patients in the intervention arm who missed out on the intervention. Another limitation is the environmental disinfection aspect of the intervention. The only detail provided is daily disinfection of several items with 70% alcohol. With all the range of excellent disinfectants available, I have no idea why the authors chose to use 70% alcohol! I suspect that this would have resulted in less of an impact that the cleaning performed in the non-intervention arm! But the cleaning regime in the non-intervention isn’t specified so it’s difficult to be sure. However, the bottom line seems to be that screening and decolonisation for MRSA has no additional benefit over standard precautions implemented well in this patient cohort. ← We’ve got a policy, so that’s alright then..
Jon; I particularly liked what you said as to the choice of 70% alcohol.! ! ! The sample we recently gave you at the HAI’s Conference; held at the ‘The Mermaid’ in London, was Medi-9; a non alcohol, non chlorine, 21st century technological advance – pre-mixed and in a whole range of dispensers. Ingredients even include moisturizers which assist in skin care. Residual effect of 18+ hours and no harmful effect on all surfaces. Jon, those of us who work in community infection prevention and control have long been aware of the Cinderella status of CIP&C, however it is NOT ‘non-existent’ as you state, but research into and the focus on IP&C community settings clearly is. IP&C may not be at the same level as hospitals but many homes do have good (appropriate) infection control procedures and standards, which is amazing at times considering the financial constraints they work within and the high level of nursing care some homes provide. Sadly in some areas access to community IP&C teams for advice, audit and education is ‘non-existant’ which doesn’t help. If you consider the input from a range of experts that hospital wards have around IP&C versus the access that the care sector has in comparison and yet the hospitals can’t get it right all of the time either. More research, more support, less criticism would be helpful. Hi there, you’re absolutely right. I seem to have a case of “acute hospitalitis” (an inability to see life from anything other than an acute hospital perspective). I suppose it is true though, as you allude to, that funding and infrastructure for delivering infection prevention and control in community settings are far below where they need to be. We’re on the same side, and I lost sight of that. Apologies. … and now start thinking ESBL and CRE, since the overall carriage rate will be far higher and the chance of infection (UTIs) versus colonization, too. Here in the Lowlands (name chosen predictively with regard to the prevalence of MDRO’s – not as many assume with regard the fact the the country is at sea level and below) we have 10% ESBL carriage in nursing homes – 0% CRE (keeping fingers crossed since we had an outbreak in the West). Interesting issue this. 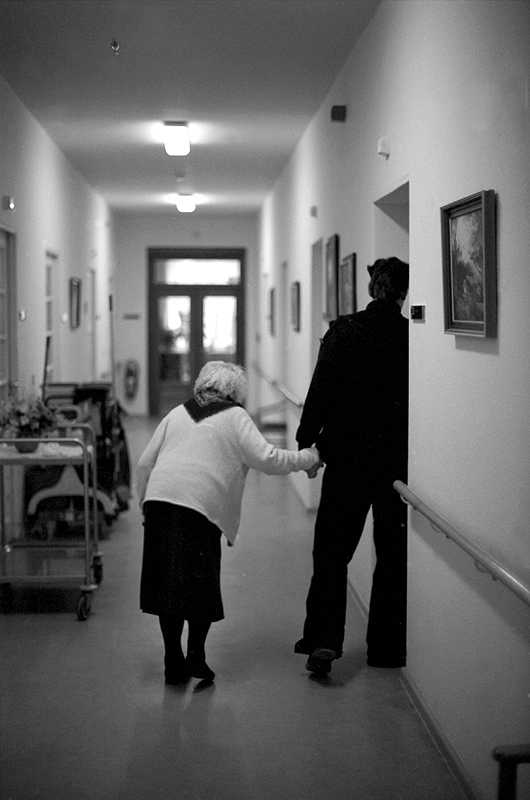 In my experience, residents of nursing homes often do not stay in the same home, frequently using a hospital admission to change home, sometimes because care needs change, sometimes because if dissatisfaction and so this could have affected the results if patients in an intervention home than moved to a non-intervention home? Movement between homes was not mentioned (it never is). The other issue that I have is about compliance with the intervention. Were residents really given an effective shower with Chlorhexidine soap daily that meant that there was adequate skin contact time with the antiseptic? I’d really like to have seen a comment about that. Personally I think a CHG washcloth after the daily wash/bath might be a more pragmatic approach. I really cannot see the elderly standing around in the shower for long enough to get a decent contact time. Andreas is right about CREs though. ESBL carriage in homes is increasing, environmental contamination is a risk and Chintz is almost impossible to decontaminate. As one who works frequently with Nursing Homes, I have to agree with Helen’s post. It is not that IP is lacking, it is just woefully underfunded and without much supportive infrastructure. Having come from a an acute hospital, I have to say that I was surprised at the nuance required to perform IP in these settings. Not only do you have to take into account the staff’s behaviour and compliance, but you also have to consider that this is a congregate living setting, where there is frequent interactions that occur among the residents, many of whom are lacking the mental capacity to make appropriate decisions or maintain their hygiene appropriately. These interactions occur at a much greater frequency than interactions with staff and they are nearly impossible to control. My guess this is accounting for much of the transmission we see in nursing homes, and not as a result of poor staff compliance.